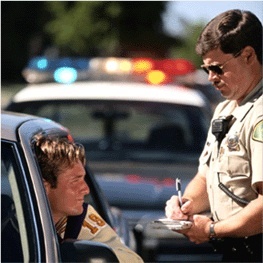 What makes you slow down more, a speeding ticket with a hefty fine or a warning? For most people, getting a ticket for violating the speed limit and having to fork over some cash to pay the fine is a powerful deterrent. In this case, enforcement has done its job. Giving you a penalty for not following the law makes you more careful in the future. Air pollution rules are no different. Getting the rules right and then following up with strong, fair enforcement actions incentivizes industry to follow them, reduce pollution and clean up our air. Since 2011, Wyoming environmental regulators have issued an annual study examining air emissions from numerous engines deployed in the state’s oil and gas fields. These engines power things such as compressors used to deliver natural gas to market. It’s not surprising that the Wyoming Department of Environmental Quality (DEQ) has singled out these engines for special attention. A 2011 emission inventory for the Upper Green River Basin — a portion of the state that has struggled with ozone problems and is designated a nonattainment area by the U.S. Environmental Protection Agency for high pollution levels — found these engines to be by far the largest source of nitrogen oxide (NOx) emissions. NOx is one of the two air pollutants that lead to harmful ozone, or smog, formation. In fact, the 2011 inventory indicates these engines emitted more than twice the NOx pollution of heaters, the next biggest source in the basin. They accounted for 1,639 of the 4,529 tons, or around 36 percent, of NOx emitted in the basin overall. Unfortunately, the recent DEQ studies have revealed very poor performance from these engines. In 2011, more than a third of the engines tested statewide and more than half in Sublette County (the heart of the Upper Green River Basin nonattainment area) did not meet pollution standards. While the 2012 results improved somewhat, the state still found more than a quarter of the engines tested statewide to be in violation of air pollution rules. In Sublette County alone the story was even worse with 27 to 38 percent shown to exceed pollution limits. These numbers are far too high. According to the 2011 report, “all excess emissions noted are attributed to a lack of maintenance or operational problems.” Just like your car, these engines in the oil and gas industry require routine check-ups in order to function at their best. Given the punishing conditions and long hours of operation these engines undergo in Wyoming’s oil and gas fields, this regular maintenance becomes even more important. And as the DEQ’s 2012 report notes, “[s]imply requiring follow-up testing for failed emissions tests conducted by the Division may be inadequate to ensure that the root cause of exceedances is identified and corrected.” In other words, it may be time for stronger measures to help the oil and gas industry identify and fix these maintenance issues. Recently the DEQ demonstrated a commitment to increased air pollution enforcement when it issued 20 notices of violation to oil and gas companies in the Niobrara shale area of east central Wyoming. This increased enforcement activity should serve as a model for what measures are needed, among others, to reduce emissions and correct violations in Wyoming’s oil and gas fields statewide — and especially in Sublette County, which recently received an “F” from the American Lung Association for its poor air quality. The DEQ’s engine study has done its job. It has shown that there is a problem that needs attention. It is now time for the DEQ to follow up with strong enforcement actions to reduce air pollution and bring these engines back into compliance. This entry was posted in Climate, Natural Gas and tagged Wyoming. Bookmark the permalink. Both comments and trackbacks are currently closed.